Through the efforts of the White Sands Missile Range (WSMR) Cultural Resource Management staff, 40 years of WSMR’s own newspaper, Wind and Sand (1950 to 1969) and the Missile Ranger (1969 to 1990) are now available for viewing. Some great pictures & history of the first Nike training facility. MAKE A DONATION AND BECOME THICK AS A BRICK! 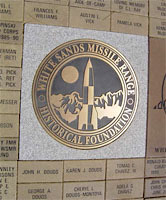 The White Sands Missile Range Historical Foundation is accepting donations for personalized bricks to be installed in the Missile Park. 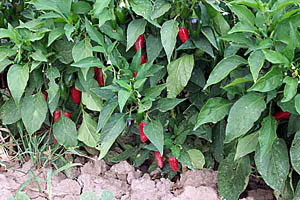 Brick sizes range from 4′ X 8′ to 24″ X 24″ and the price ranges from $65.00 to $840.00. (If you want your own – click on the image link on the left or contact Bob Lipinski (575) 678-1644 [email protected] or Pamela Vick (575) 522-4179. This is a tax-deductible donation. Become a member of the White Sands Pioneer Group. 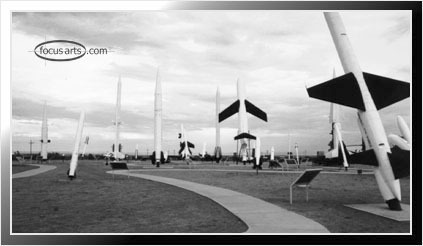 The White Sands Pioneer Group is a nonprofit association of present and former personnel who have worked at White Sands Missile Range. The group’s purpose is to recognize and preserve the pioneering efforts and significant achievements which have occurred at White Sands. Membership is open to all civil service, contractor and military personnel who worked at White Sands or Holloman Air Force Base and to any others who share in the objectives of the organization. Members pay annual dues of $10. However personnel who started their White Sands / Holloman service before May 1, 1958 (when the name was changed from proving ground to missile range) are exempt from the annual dues. Those personnel are encouraged to contribute dues to help in furthering the objectives of the organization. To apply for membership. Prefer Mixed cheddar, American, Monterey jack and mozzarella Read More. Click here for the rest of the recipe!